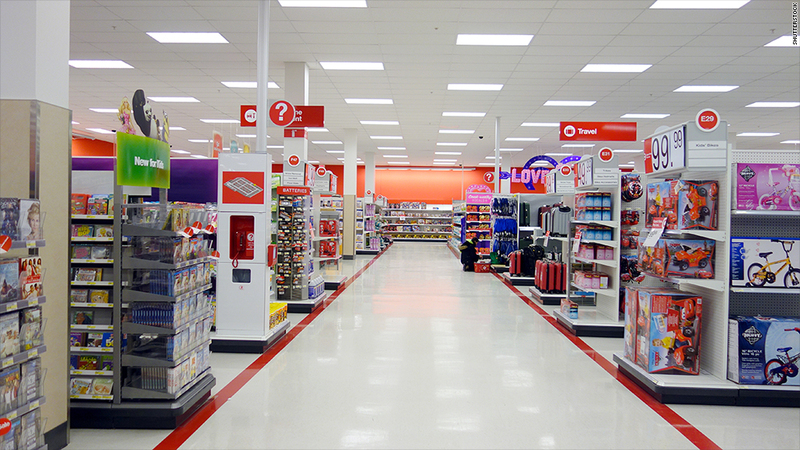 A Target store in Canada, where Target has struggled to make inroads. Target's mantra is "Expect more, pay less." These days, it's investors and shoppers who are expecting a lot more from the discount retailer. Target (TGT) cut its 2014 profit forecast yet again Wednesday in the latest sign that it's continuing to struggle from its massive data breach late last year. The company's second quarter earnings plunged nearly 62% compared to the same period last year. The hack, which affected 110 million shoppers, cost Target $111 million in the second quarter alone. "Target just dropped an epic full year earnings warning onto the heads of its remaining shareholders," said Brian Sozzi of Belus Capital, in an email Wednesday. "Target has given investors ZERO reason to be encouraged that a global turnaround is secretly emerging." But most of Wall Street didn't seem to care. Shares jumped 1% in trading Tuesday. Why? 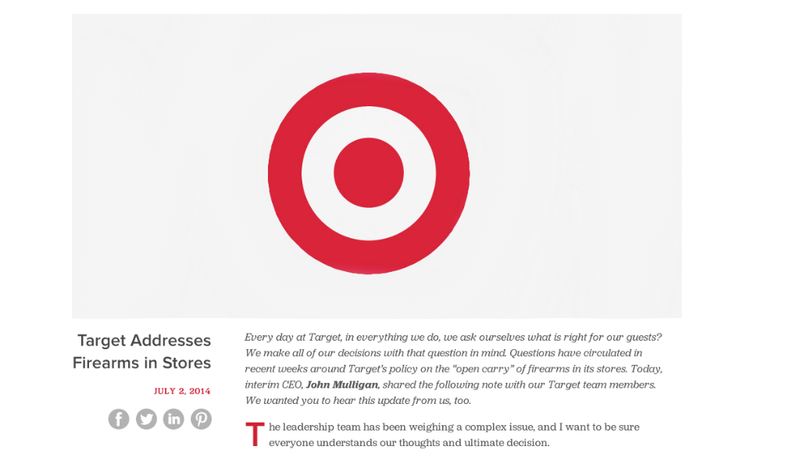 Two reasons: First, the expectations for Target are now very low. Profit was in line with what analysts were expecting based on Target's preliminary results released earlier this month. The results might be dismal, but they were already known. Second, it's possible that investors are encouraged by a slight bump in July comparable sales figures. Target's chief financial officer John Mulligan also gave hopeful comments indicating a bounce in early August back-to-school shopping. Still, the road has been long and tough for Target. Despite a recent uptick in share price, the stock is still down over 5% for the year, and Wednesday's results gave no concrete signs that the bloodletting will stop anytime soon. Outside of the data breach, Sozzi said domestic traffic has been negative for nine quarters in a row. And Target's business in Canada, which launched only last year, continues to be plagued by weak sales and merchandising issues. It's another indicator that Target was having trouble connecting with customers, even before the data breach. The company fired CEO Gregg Steinhafel earlier this year and replaced him with Brian Cornell, who took the reigns this month after having previously served as CEO of PepsiCo's Americas food unit. Target isn't the only big box retailer that's cautioning about a dreary 2014. Wal-Mart (WMT) warned recently that it expects to earn less this year than it had previously promised because of higher healthcare costs and the need to upgrade its online operations.